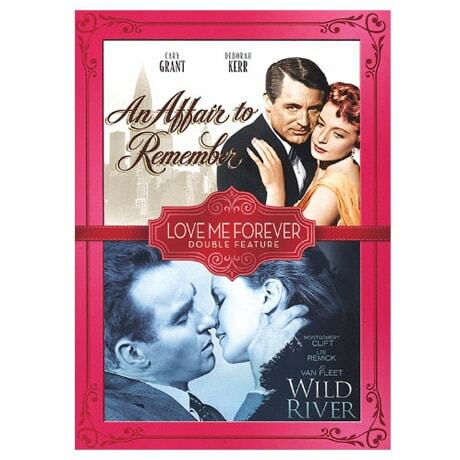 (Includes Academy Award Nominee An Affair to Remember/Best Cinematography; Best Costume Design; Best Song; Best Score) When Nicky (Cary Grant) and Terry (Deborah Kerr) meet on a cruise to New York, it's love at first sight. Both are engaged, however, and decide to test their sincerity by meeting in six months atop the Empire State building. Number 5 on the AFI's "100 Years ... 100 Passions poll," An Affair to Remember (1957) was director Leo McCarey's remake of his 1939 Love Affair, and it later inspired Sleepless in Seattle. Elia Kazan's Wild River (1960) stars Montgomery Clift as government agent Chuck Glover, who must evacuate a town to make way for a new dam. A feisty matriarch (Jo Van Fleet) stands in his way, and soon Glover is falling in love with her equally strong-willed granddaughter (Lee Remick).